Samsung partners with Tidal for tailored TV experience | What Hi-Fi? Just weeks after announcing a partnership with Spotify, Samsung TV has partnered with a second major streaming service: Tidal. 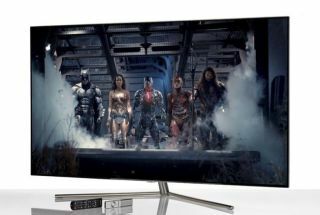 Music Business Worldwide has reported that Tidal subscribers who own Samsung TV with Tizen 3.0 software (2017 and 2018 models, then) will soon be able to have a tailored TV home screen interface that ‘prioritises Tidal visual content’. Via the home screen, users will have access to the app's features: the latest releases, curated video playlists and other content such as concerts, livestreams, music videos and podcasts; the 'My Collection' screen, allowing users to personalise their favourite content; and an optimised search function.